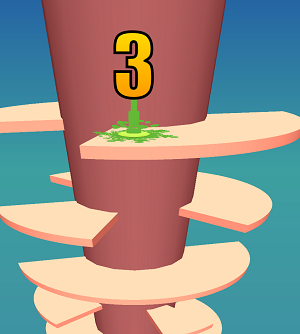 Simple and interesting games are very popular, and they are powerful decompression tools, so as Helix Jump. Start a new adventure by jumping in Helix Jump and guiding the bouncing balls through the labyrinth of rotary platforms built on rotating rollers. Avoiding the color area, when you can safely get to the bottom you win. Can you complete all the levels? Have a try and enjoy.